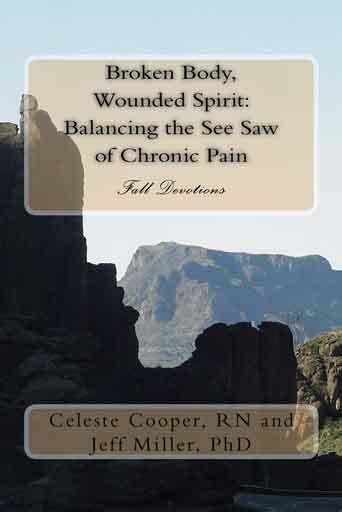 Fall is here, but the "revised edition" of Broken Body, Wounded Spirit: Balancing the See-Saw of Chronic Pain, FALL DEVOTIONS has not cleared the editor’s desk just yet. When that happens, we will offer a free download for the Kindle EBook version. The latest version has expanded information on some topics and room to take notes (the later being something our readers asked to have. This is a great book, simple and effective! When you live in pain it's easy for the world to seem like it's falling apart. Waking up each morning in pain doesn't really help your focus, other than focusing on the pain itself and then building our day around the pain. It seems that we forget about all of the life that is going on around us and what it has to offer. This book is a reminder of all that life has to offer when you're losing focus. The book is well-written and easy to read. +1 for anyone needing help with kickstarting their days. This book was very informative and helped me in so many ways as i am living with chronic pain. I am so thankful for the help this book has given me and I look forward to the next book. Thank you!! This is an "uplifting" book that is well written. I even followed the author's suggestion and wrote my own poem ! Read more about Celeste here. 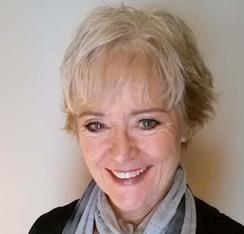 Broken Body, Wounded Spirit: Balancing the See-Saw of Chronic Pain, WINTER DEVOTIONS. ImPress Media, 2013, available in worldwide markets. Broken Body, Wounded Spirit: Balancing the See-Saw of Chronic Pain, SUMMER DEVOTIONS. ImPress Media, 2013, available in worldwide markets. Broken Body, Wounded Spirit: Balancing the See-Saw of Chronic Pain, SPRING DEVOTIONS. ImPress Media, 2013, available in worldwide markets. 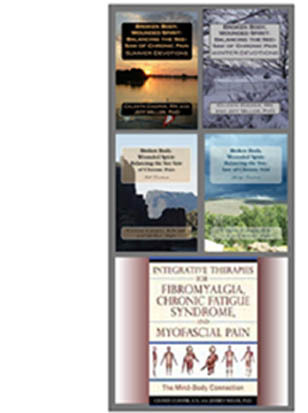 Integrative Therapies for Fibromyalgia, Chronic Fatigue Syndrome, and Myofascial Pain: The Mind-Body Connection. (Vermont: Healing Arts Press, 2010). Available from Inner Traditions: Healing Arts Press here and in all major online retail stores.